Players split up into 2 groups. 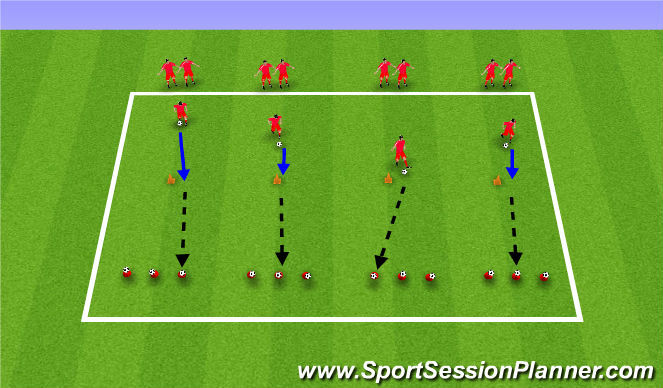 Players start by doing 10 toe taps and then complete side to sides through the discs and then sprint to the end cone by the soccer ball and perform 10 side to sides and then sprint back to the line. 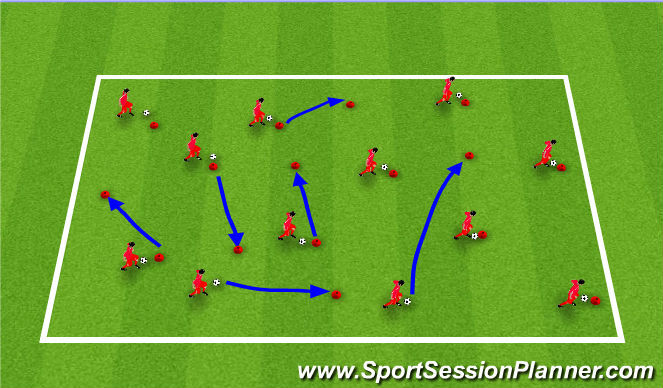 - Players dribble through the discs and back and then pass to their partner. 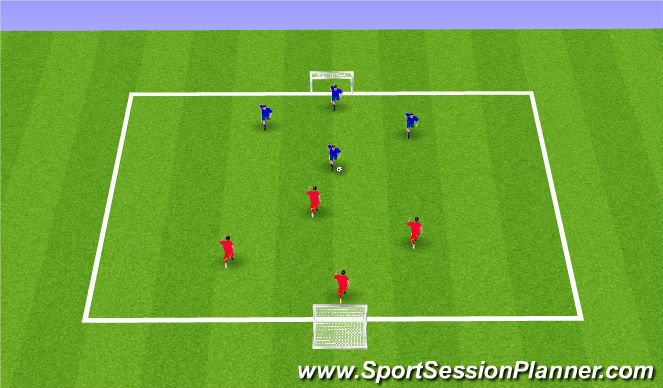 Set up like above, each player with a ball. Players will be staying in their area and practicing dribbling with different parts of their foot - laces, inside, outside, bottom - from one cone to another (players cannot go to the same cone as another player). What we looked for from this was players trying to make as many touches as possible in order to ensure close control and tight dribbling. 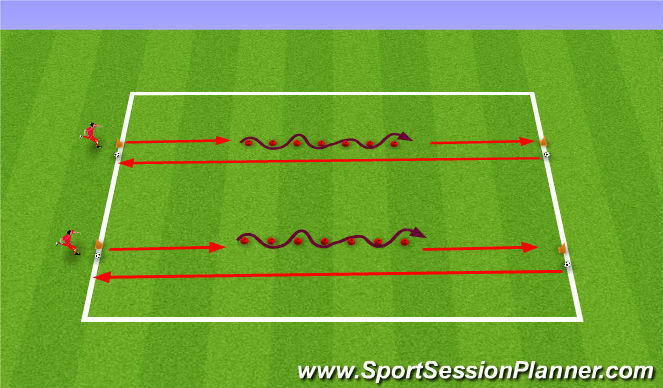 We wanted players to not just go in a linear pattern but to go different directions with their ball. Set up like above. Players are in four groups, one player goes first from each group and try and shoot their soccer ball from the tall cone and try and hit a soccer ball off a cone. If they do so they can put onto another groups empty cone if they have one, if not they wait till a team have a cone free. They only get one shot and if they hit or miss they get the ball and dribble it to the next person in their team and it repeats. The winning team is the team that has no soccer balls on their cones. Play for 15 minutes if no winner. Winning team will then be the team with the least amount of soccer balls on their cones. As it is the last session of the season we are going to end with a parents v players scrimmage.